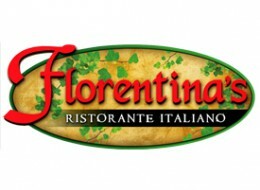 Florentina's Ristorante Italiano! Chef created recipes in the tradition of old world Italy...sample a menu painstakingly crafted with the assistance of Chef Ron Kalenuik, also known as Chef K. Chef K has written 18 cookbooks, hosted a number of television shows and is a renowned, award-winning restaurateur. Provide server with dining voucher prior to ordering. Good on food items only. Tax & tip not included. Valid through Dec. 31, 2016.